SSI Products encompass two major product groups. Proprietary, Build to Specification . Within our proprietary products, we bring to you, the military user over forty plus years of expertise in system integration and manufacturing to the highest quality standards. 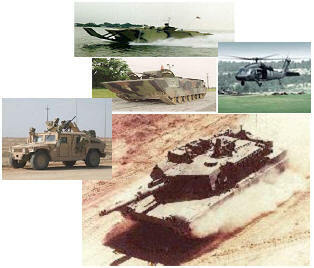 The technical focus of the company in our core products has been the use of either analog or digital technology relating to liquid level sensing for military vehicles. In addition, the company has developed and in-depth knowledge employing solid-state devices for use in medium to high current switching applications, solving not only the heat and mechanical deficiencies associated with relays or solenoids, but, substantially increasing the MTBF of such devices and systems. Our Build to Specification products encompass a myriad of products including; depot level repairs, circuit cards, switching modules, cable harnesses, and complete electro mechanical assemblies.